Think back for a moment to your elementary school days. Chances are, some of your best memories revolve around celebrations. Whether celebrating a classmate's birthday, a favorite holiday, an accomplishment for the class, or even the 100th day of school, everyday celebrations are an essential part of many elementary school classrooms. For one thing, they offer everyone, including the teacher, a bit of a mental break from the daily grind. When people return from a break, they're ready to sit down and work some more. Without a break, it's easy to get burned out. 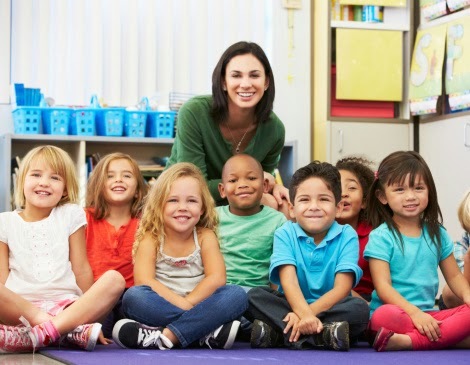 While most working adults are far removed from elementary school, that doesn't mean these basic lessons learned in childhood no longer apply. Elementary school teachers understand that the best way to keep people motivated is to celebrate their accomplishments. When you find ways to congratulate people or teams who meet particular goals at your organization, you'll also be encouraging them to continue to strive and accomplish more. Employees who feel as though their accomplishments and efforts are recognized are more likely to feel satisfaction at the workplace and trust that their efforts contribute to company success. Working to keep the atmosphere light and pleasant can also contribute to a positive work environment. While most professional environments wouldn't be able function with parties every week, there are plenty of other ways to encourage a positive workplace. Cards, token gifts, bonuses, announcements of accomplishments at meetings, and similar strategies can all help employees feel appreciated. Even personal notes from management will let employees know their leaders notice the efforts of everyone below them. Save the parties for more memorable occasions, such as the holiday season. When companies have specific goals in mind, it's tempting to just expect everyone to put their noses down and work. In reality, companies that work to create a rewarding atmosphere where employees feel happy and content are likely to accomplish greater things and have employees who feel more loyal and appreciated by management. How happy an employee feels can have an incredible impact on their productivity. So take the time to foster happy employees, and get started building your company today.